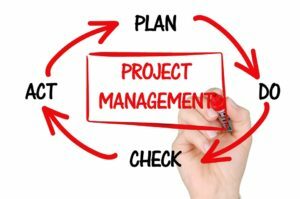 As a project manager, you want to use of the most effective tools and techniques to bring project success. This article talks about five specific factors to consider to optimize your approach to managing the project. In the end, you can choose an ideal combination of waterfall and agile techniques to help you most effectively manage your hybrid project. This is the third part of a series of four articles on “Hybrid Project Management”, where we explore the evolution and logic behind hybrid project management, and how you can optimize performance on your hybrid project by selecting the ideal waterfall and agile techniques. This article, Part 3 in the series, focuses on “Five Factors to Optimize Your Hybrid Project”, enabling you to identify the key characteristics that will inform your PM methodology approach. Part 1 looks at “Hybrid Project Management: How ‘Hybrid’ Came to Be”, including how project management methodologies have evolved from waterfall to agile…to a hybrid of the two. Part 2, “The Spectrum from Waterfall to Agile: Three Hybrid Projects”, looks at some different types of projects and what makes them uniquely challenging to manage. Finally, Part 4, “Leverage Waterfall and Agile Techniques on Your Hybrid Project,” dives into how to choose the best of techniques to leverage on your specific project. Project size – Larger projects typically require more definitive planning up front. The cost of errors will tend to be high – especially as the product advances through the building stages. Smaller projects are more forgiving and more easily permit course corrections – but of course also have smaller budgets. Note that large projects can often be decomposed into smaller projects. Project timeframe – While all projects require planning up front, projects with longer timeframes usually require more thorough planning up front, since the cost of errors will tend to be high. This is a generalization – temper it for each situation. Modularity/technology factors – Dependencies make a project less flexible. If it is possible via technology or other means to make the project more modular, it can leverage more agile techniques and gain efficiencies and advantages in satisfying the users and producing a quality product. Maturity of requirements – While some projects have mature requirements, other projects rely much more on unfolding requirements as the project progresses. Mature requirements will favor a waterfall approach, while unfolding requirements will favor agile. Cost of error and rework – Probably the biggest factor, projects that have a high cost of error and rework will benefit with a higher degree of detailed up front planning, followed by rigorous execution of that plan. Where the cost of error and rework are low, there are opportunities to leverage agile for potentially high payback in the end product. The above five factors provide a sort of 5-dimensional object that you can use to characterize your project. If you think through your project along these dimensions, you can optimize on the elements of waterfall and agile that you utilize to manage the project. Have you thought through the five factors on your project? These aspects include how “hybrid” came to be, spectrum from waterfall to agile, five factors to optimize your hybrid project, and leverage on both waterfall and agile techniques.